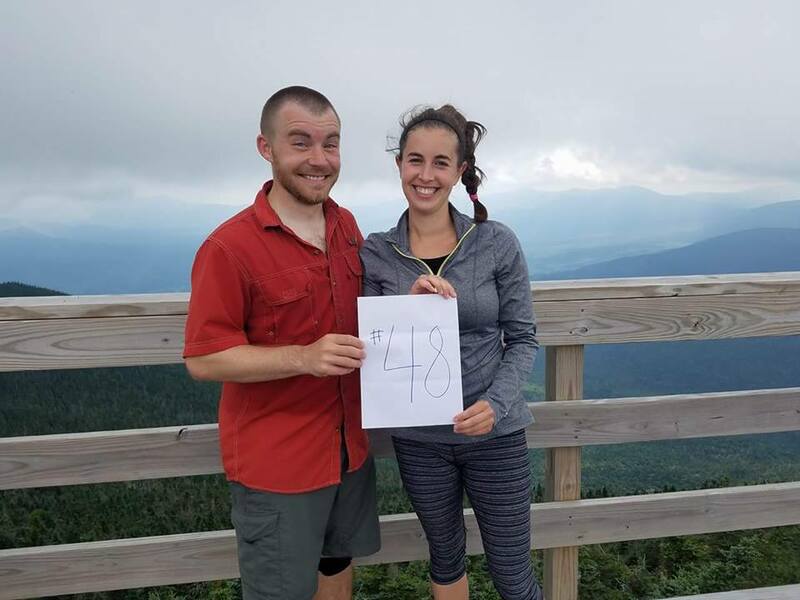 I wanted to take a moment to write about my recently-completed quest to summit all 48 of the 4,000-foot mountains in New Hampshire (aka the 4,000-Footers). Even though I am out exploring some unbelievably incredible areas of this country, the mountains of New England hold a special place in my heart and I often think back to many awesome moments in the White Mountains of New Hampshire. The beginning of this post will be a general overview of my journey that everyone can enjoy, and the very last section will be specifically for anyone who is actually considering hiking these peaks! I’ll start at the beginning. After a few months of dating my now-husband Steve, I decided to move from New York City to join him Boston, where I found an excellent teaching job. Right away, Steve introduced me to the White Mountains in New Hampshire and I quickly fell in love. As a kid growing up in upstate New York, I loved spending time in the Adirondacks hiking the trails, climbing the mountains, and swimming in the lakes. I grew up loving the outdoors and spending time in beautiful nature. During my time in NYC, I was very busy with work (I taught at a public high school in the South Bronx) and often felt trapped in the city without a car, and therefore I rarely saw the wilderness. 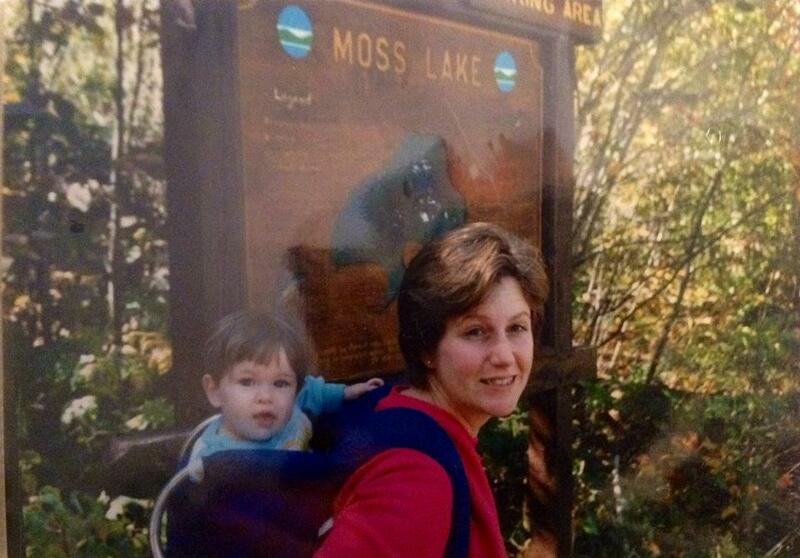 Hiking on my mom’s back in the Adirondacks as a baby! Once in Boston I quickly realized that I was only a 2-3 hour drive from the beautiful White Mountains of New Hampshire and was reminded of how much I love hiking and being in the mountains. Then Steve told me about the 4,000-Footers and how he had climbed 10 or so of them over the years with his friends. For those of you not familiar with the 4,000-Footers, this is a list of the mountain peaks over 4,000 feet in New Hampshire (there are 48 of them in total). We decided to head up north and hike a few of them together and I was instantly hooked. As a lover of to-do lists, I suddenly found myself in the midst of a massive to-do list of 48 mountains, each containing incredible beauty, intense work outs, and unique experiences. Over the next four years, Steve and I drove up to lovely towns like Woodstock, Lincoln, Gorham, Jackson, and North Conway which would be the basecamps for our hikes. We hiked during spring rainstorms, on hot summer days, in the gorgeous foliage of autumn, and even on snow covered winter afternoons. Some hikes were quick and included one summit (for example Mount Hale which is a 4.4 mile hike and took only three and a half hours) whereas other hikes took multiple days and hit multiple summits (for example the Presidential Traverse which hit 7 summits and was 23 miles of hiking with 9,000 feet of elevation gain). Each hike was incredibly unique, considering they are all within a short distance from each other, with lovely wooded trails, occasional ponds and lakes, and many beautiful views from the summits. We hiked alone or with friends and met some incredible people along the way. Tecumseh in the snow with some great people! 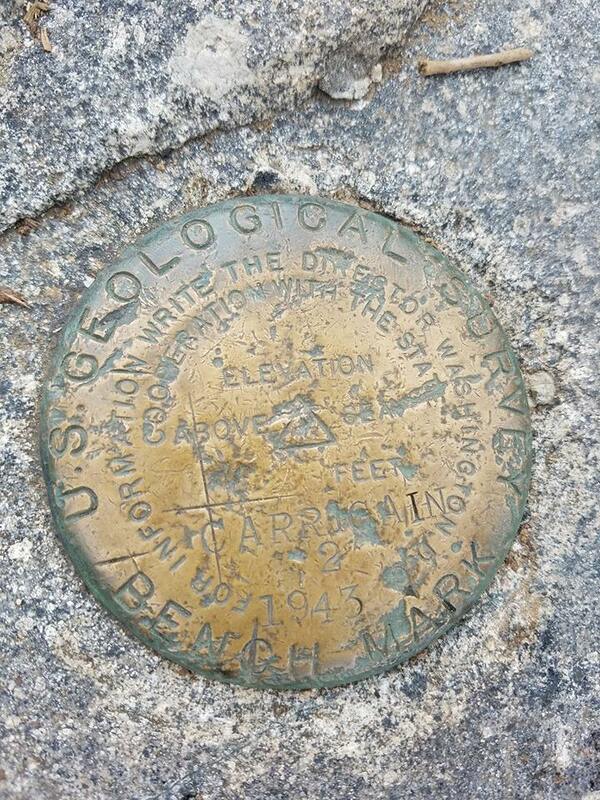 Our final hike, number 48, was Mount Carrigain. This was a medium difficulty hike but was incredibly memorable. At the summit we ran into a family who was celebrating that the father was also completing his 48th mountain and they had a bottle of champagne which they joyfully shared with us on the fire tower! 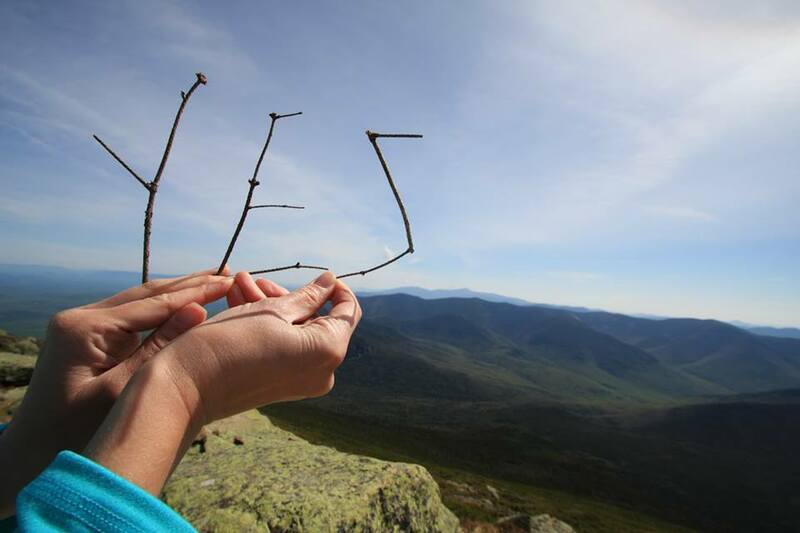 I have found that hikers in the White Mountains are incredibly kind and down to earth. We may not have the rocky peaks and epic alpine lakes like the Northwest, but the beauty of the New Hampshire mountains is very special. 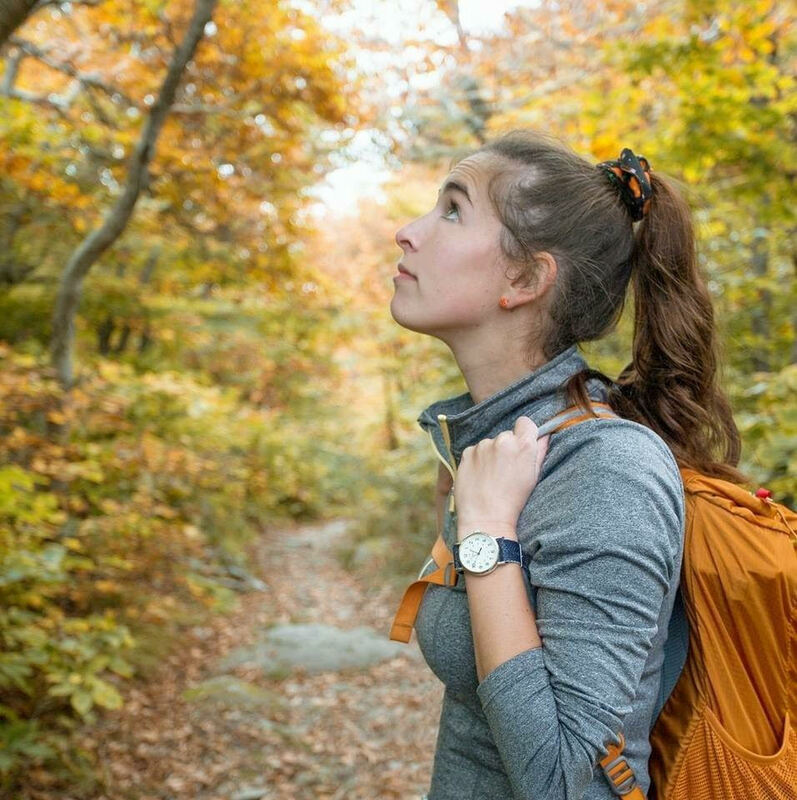 Whether they are shrouded in dense fog, basking in sunshine, covered with amazing fall foliage, or layered with snow, the White Mountains are a treat for those willing to leave the comforts of home and hike into their wilderness. Working through the 4,000-Footer list forced us to hike a wide variety of mountains, not just the popular and most scenic peaks, which ended up revealing a lot of unique beauty and solitude that we otherwise may have never experienced. This was truly an amazing journey. I fell in love with peakbagging and found comfort and motivation in checking mountain after mountain off of our list and adding pin after pin to our map. 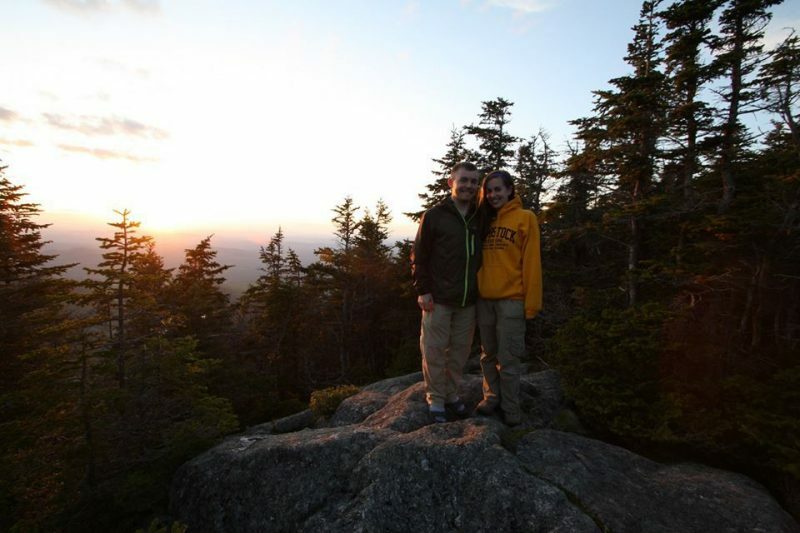 Steve and I grew stronger both physically and mentally and the hikes brought us closer together as a couple. We even got engaged on our overnight hike of Lincoln and Lafayette! If you live in the northeast I highly recommend hiking some of the 4,000 Footers. If you would like suggestions on which ones to hike, please reach out to me! If you live far away, but like the idea of hiking lists or peakbagging, take a look if there are any hiking lists in your area! Perhaps there is a mountain range nearby (Colorado 14ers, Adirondack 46ers, etc) or perhaps you could try something like the county high points in your state! Trying to represent #29 on my fingers! 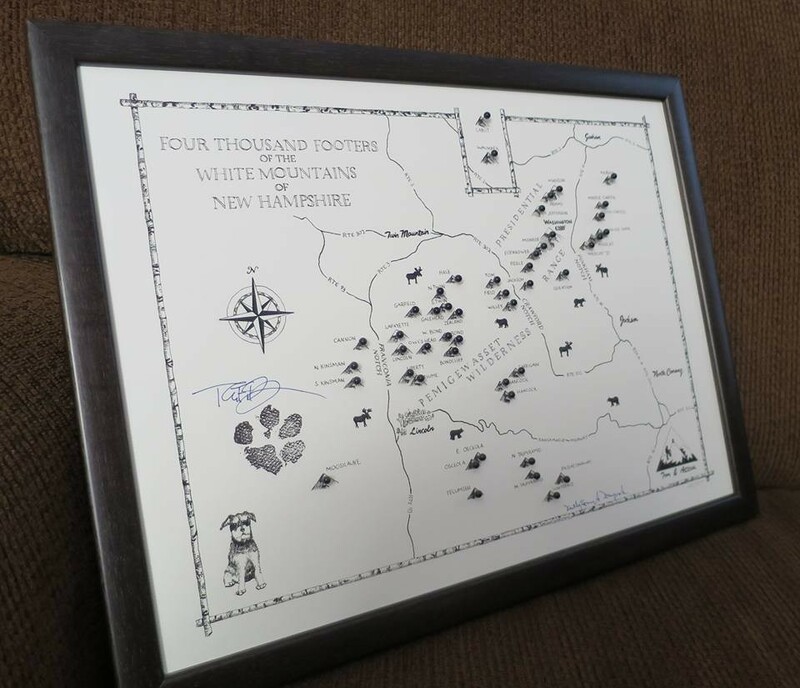 Now if you’re nowhere near New Hampshire and have no desire to hike these mountains, you can stop reading here! However if you’re interested in doing the NH 4000 Footers, I have a few pieces of helpful information below! 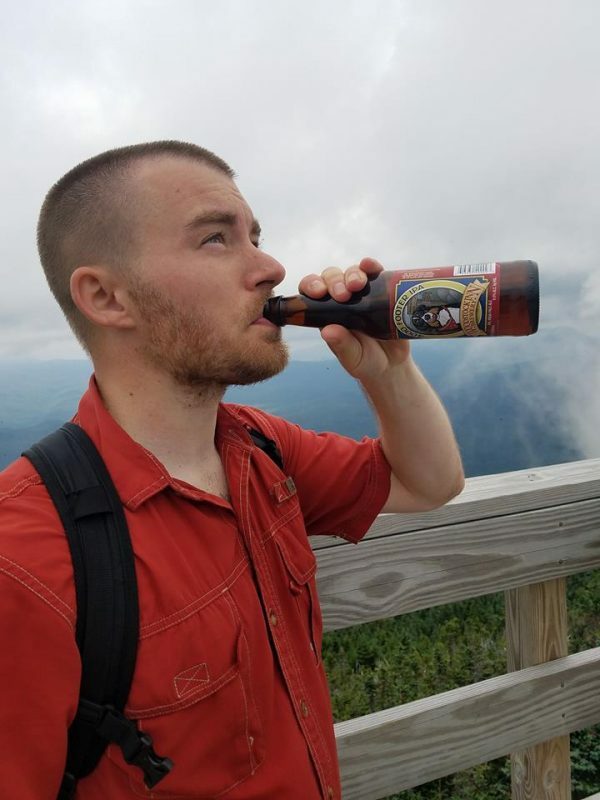 Woodstock Brewery in Lincoln, NH is a great place to grab a bite to eat and some delicious beers after a hike! They even have a 4,000 Footer IPA! I recommend the Loon Dip and the Cogsman Ale! 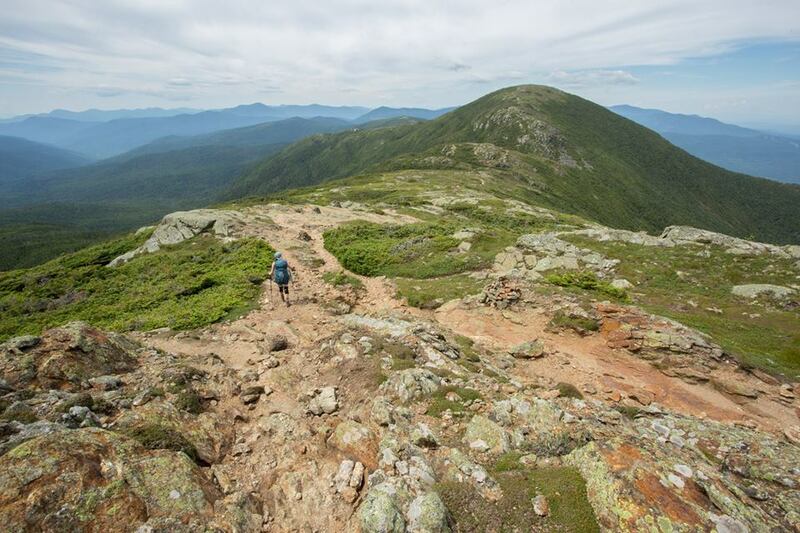 My favorite hikes were Lincoln/Lafayette, Moosilauke, and the Presidential Traverse! My least favorite hikes were Hale (no views) and the Wildcats. Check out the AMC huts! They are beautiful inside and have awesome maps, pit toilets, and free water. If it’s in your budget, staying overnight at one of the huts is an amazing experience! Whenever possible, I recommend trying to do multiple peaks in one hike. It’s a great experience and also cuts down the total number of hikes you will do to complete the list. Try to catch some sunsets or sunrises in the mountains, they are unbelievable. 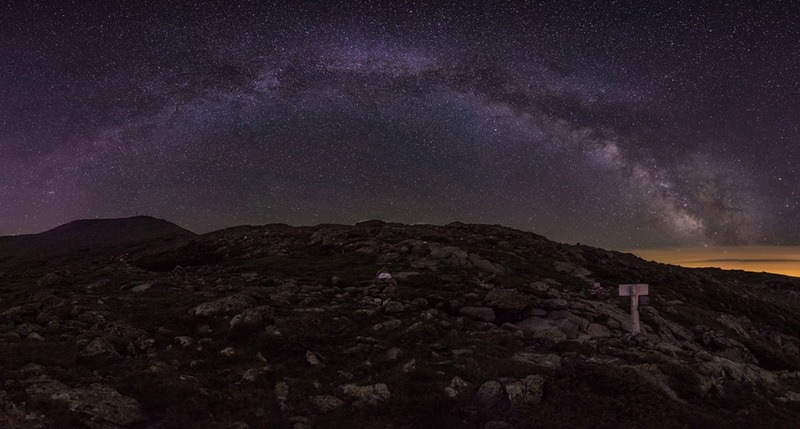 If you can spend a night during a new moon, you might even be able to see the Milky Way over the mountain peaks (see photo below). Always check the weather and trail conditions before hiking, especially on the Presidential Range or in winter and early spring. As always, be sure to follow the Leave No Trace philosophy. These are some of the most beautiful and well maintained trails I’ve ever hiked and I want them to stay that way! Stay on the trails, follow the rules about camping and fires, and be sure to pack out ALL of your trash, including apple cores, banana peels, sunflower seed shells, and orange peels! And lastly, here are some very important resources to help you get started! First of all, this website (http://home.earthlink.net/~ellozy/) is the best resource for hiking the 4,000-Footers! I have no idea how we would have completed this journey without this site. It has mileage, elevation gains, and book times for the different routes to the peaks as well as commentary about each hike. It talks about which peaks can be combined together in a single hike as well. This site is super helpful! This website (http://trailsnh.com/lists/New-Hampshire-4000-Footers.php) has trip reports with updates on trail conditions and weather. This is a great resource to check before you hit the trails, especially if it is during or near the winter months. There is a great Facebook group Hike the 4000 footers of NH! which is a wonderful community of other hikers of the 4,000-Footers. 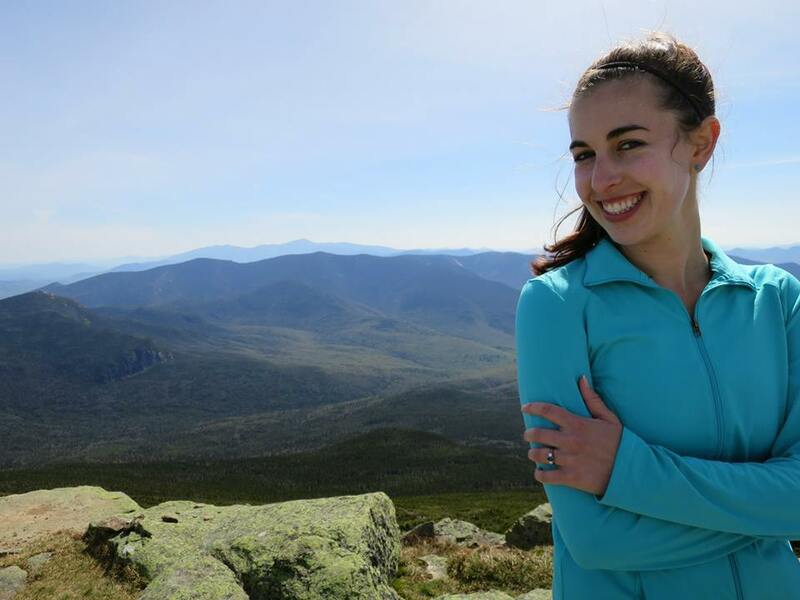 There is occasionally drama in the comments, but mostly it is full of kind and supportive hikers who offer advice, seek suggestions, or organize group hikes in the Whites. 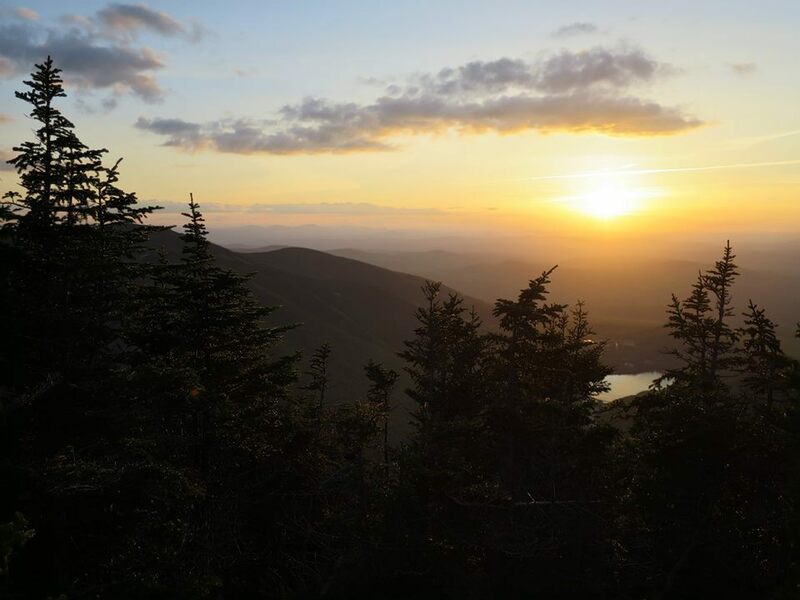 If you plan to hike Mount Washington or any of the Presidentials, this website (Mount Washington Observatory) is critical for checking the weather before you go. Mount Washington has been said to have “the worst weather in the world” and can be extremely dangerous, so be sure to stay up to date on the weather and be prepared for cold and snow, even in the summer! 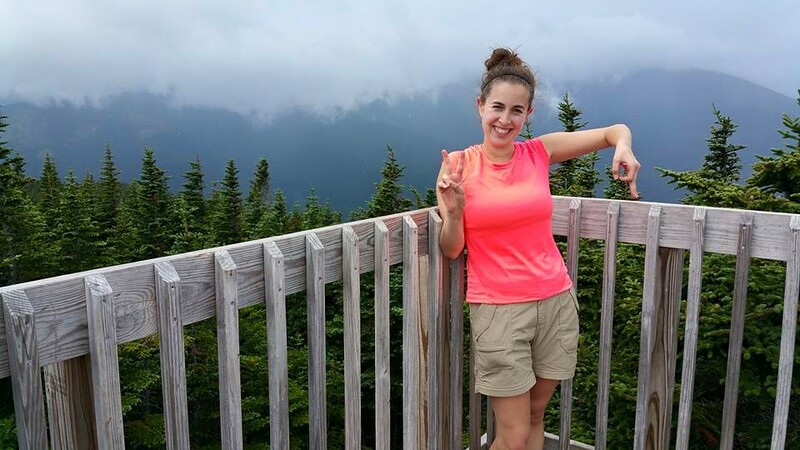 Carrie Walasavage is an avid hiker and traveler who loves nature and the great outdoors. 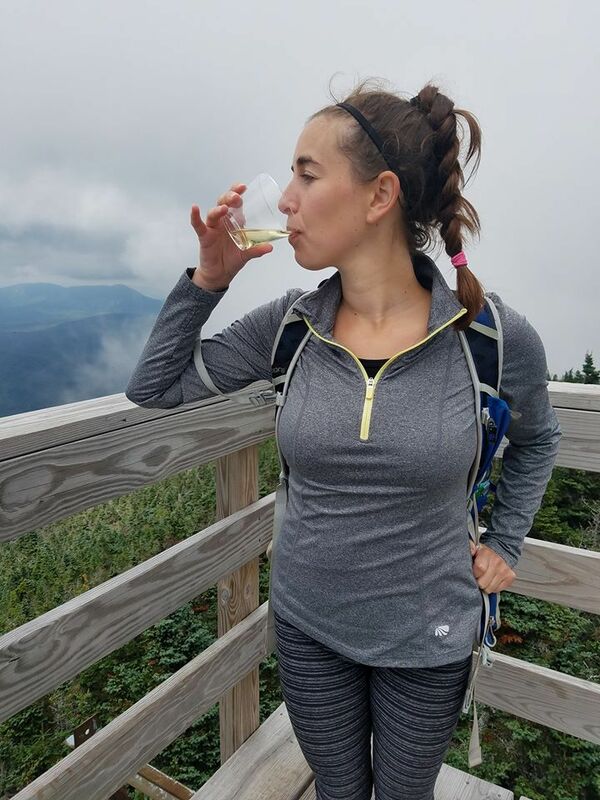 In particular she loves being in the mountains and enjoys peakbagging.She spent four years teaching in the Boston area and exploring beautiful New England with her husband. 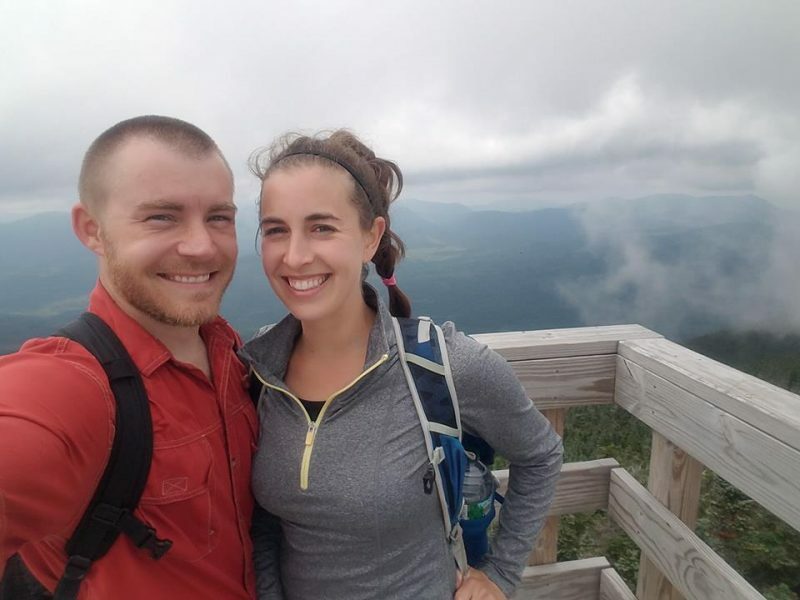 After an extended road trip around the United States, they will be moving to upstate New York in the fall and are excited to have more adventures in the Adirondack mountains! You can follow along with her adventures on her blog www.carrieoutdoors.com, enjoy her photos on Instagram (@carrieoutdoors), or chat on Twitter (@carrieoutdoors1). 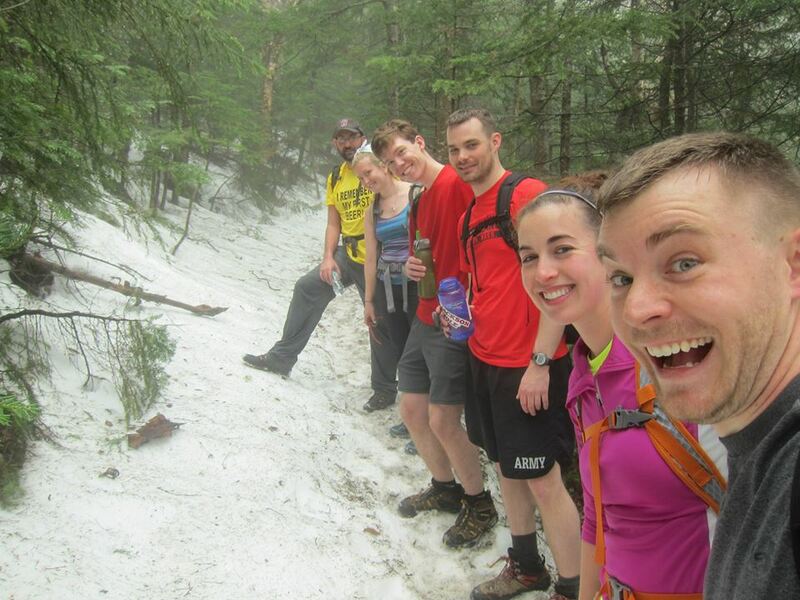 This entry was posted in Activities, Campstake Guides, Hiking, New Hampshire. Bookmark the permalink.